This piece was originally posted on Medium here and has been lightly edited. My therapist, Barbara, sat across from me as I vented on her couch, using up the allotted 45 minutes to complain about how unfair my life was. Barbara listened without comment but encouraged me to keep talking. I’d been seeing her for three months and had complained before, but at that moment I fully lost it. Something had to change in my life, and I was desperate for an answer. I was in tears by this time, so frustrated that I’d been seeing Barbara faithfully once a week and nothing in my life was different. I still made the same mistakes. I still couldn’t handle the intensity of my emotions, preferring to numb them with any available substance rather than feel anything real. Barbara slowly nodded her head yes, and suddenly everything in the world made sense. According to Barbara, she’d known I was bipolar after my first session with her. She claimed she even brought it up with me previously only to have me reject the idea. I don’t exactly remember that conversation, but it sounded like something I would do. I decided it couldn’t be true because I was never “manic,” not really knowing the definition of the word. It was true that I made impulsive decisions. It felt like there was no filter in my brain between thought and action. I overspent regularly and then didn’t understand how it happened. I’d spent most my adult life in chaos. I’d often been irresponsible and unable to manage the simplest of tasks. I took dangerous risks that frankly should have gotten me killed. My original diagnosis was depression, which my doctor branded me with shortly after my first child was born and I got slammed with a ferocious case of postpartum depression. It went way beyond the “baby blues” and left me a shivering wreck and unable to take care of my son. My OB/GYN wrote me a prescription for Zoloft, and I felt better and more able to handle parenting. The problem was that the depression kept coming back, striking me down over and over. My life consisted of hospitalizations, missed time from work and a constant shuffling of psychiatrists and therapists. After the therapy session with Barbara, I made an appointment with my psychiatrist. He reevaluated me at my next visit and agreed that I’d been misdiagnosed and truly was bipolar. He shuffled my medication around, and he encouraged me to continue with therapy. He told me there was no cure for bipolar disorder, but that it would be possible to manage my symptoms. I felt like someone had given me the key to the door behind which people were happy and successful in their lives. I could be one of those people who woke up on time every day and worked and did their chores and never ran out of money a week before payday. Was It Too Late For A Happy Life? While careful not to blame the illness for the mistakes I made, it was easy to look back and see times where I’d been manic and making rash decisions like running off to Las Vegas and marrying a dangerous man who was wrong for me. The fact that I self-medicated for so many years could have resulted from my moods being much higher or lower than normal. The feelings I had were so intense that I needed to dull them with alcohol and drugs. I also had a severe case of the “if only’s.” What if I’d known about my diagnosis sooner? Would I have lost all three of my children? Would I have rushed into a marriage that left me bruised and broken? Would I have taken extreme risks such as meeting with drug dealers in broad daylight and begging for spare change at gas stations? It would have been easy to resent my prior doctors or the hospitals where I committed myself for not catching the diagnosis sooner, but oddly enough I didn’t feel that way at all. I felt like I’d been given the gift of a brand new life, one I could actually handle. I had new opportunities to be happy and content with a new sense of peace I always wanted. 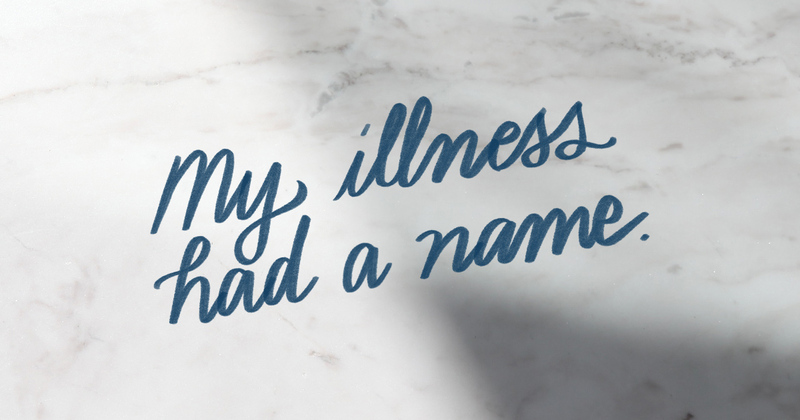 My illness had a name. There were chemicals going haywire in my brain. No wonder I was panicked all the time and worried about what I would screw up next. I could be dependable, consistent and trustworthy if I got the disorder under control. Knowing that was enough for me to work as hard as I could in therapy and make sure nothing interfered with taking my medication every morning. Every day isn’t perfect, and I don’t expect it to be. When my bipolar disorder wants to pick a fight with me, I have weapons to defend myself now. My diagnosis is a gift simply because knowledge is power. I no longer act on impulse and can pause and think clearly before making a move. I’m vigilant against this illness and know how to respond when it creeps up on me. The more I think about it, I believe it makes me more compassionate and understanding of other people’s struggles. It showed me we all have things we are dealing with and how we can be loving and helpful to each other. Through the experiences I’ve shared, maybe I can help another person find their answers, too. It would be nice not to have bipolar disorder, but in a strange way, I’ve learned to love it and love myself in the process. Sounds similar especially the impulsive decisions. I’m 61 been treated with medication for 15 years but never have I’m been able to manage my life well. I’m now married and my wife goes to therapy and once again I’ll be attending therapy, plus I’m a mental health therspist and should be better. I don’t do adults in therapy other than parenting issues just children but better with teens. My marriage falling apart and am pretty depressed most of the time. We’re really glad to hear that you were encouraged by Glenna’s words. And we hope you know that recovery and healing are possible. Would you email us at info@twloha.com so we can hear more about you and hopefully offer you some support? We’re sorry to hear that you’re dealing with a crisis right now. Please know that you can reach out to a trained counselor by texting TWLOHA to 741741 via Crisis Text Line. You can also email our team at info@twloha.com. We would be honored to hear more of your story and offer you some support. You’re not alone in this! Thank you for commenting and sharing part of your story with us. We are so grateful for your honesty and desire to fight stigma. You are welcome here, and we hope you know you aren’t alone in this! Thank you for sharing! My son has bipolar 1 with mania. It’s so difficult and heartbreaking.. I don’t know how to help him .. so many medications none seem to work. Getting my Bipolar II diagnosis a few months ago was an eye opener for me. After 3 back to back hospitalizations in 6 weeks I was finally told I wasn’t just depressed. I’ve been living with what I thought was depression for 10 years and self-harming for the same, and I didn’t understand after all the work I’d done why neither of them went away. So now I’m learning about myself and my triggers and what it means to be Bipolar, but I’m not letting it define me.